Discovering termites in your Rancho Bernardo, California, home, can be extremely stressful, as you simply don’t know how much time and money it will cost to fix the infestation or the extent of the damage that has been caused. Fortunately, the experienced pest control professionals at Kilter Termite and Pest Control are standing by to help. We have more than 25 years of experience providing efficient, convenient, and cost-effective termite treatment solutions. 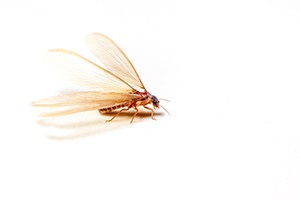 Homeowners with termites typically expect to be displaced for days while their homes are fumigated. But at Kilter, we do things differently. We use KILGUARD, an innovative termite treatment system that targets the subterranean and drywood termites that commonly infest local homes. Using this system, we can treat your home in a matter of hours and, because it’s not toxic to your family or pets, you won’t need to leave. In fact, you won’t even need to be concerned about your houseplants or having to seal your food and medications. In most cases, we’re able to eliminate even stubborn infestations in just a single visit, which helps you save money and prevents termites from doing any further damage to your home. And, our system not only eradicates termites, it prevents them from returning to treated areas – a claim we back with a two-year warranty. For more information about our approach to termite treatment and to schedule a free inspection at your home in Rancho Bernardo, CA, contact Kilter Termite and Pest Control today.